Holy smokes, it's December! Alhough the months have always gone quickly, they seem to be flying by even faster during this pregnancy. Today is my gestational diabetes test (shoot up a prayer for me if you would! ), and then I'm marching into my third trimester this weekend! Between the holiday parties, Christmas celebrations, and sweet traditions, December is always a blur. But this year, we're also throwing in a couple of baby-moons and a registry! Here's a little November recap, along with what we're looking forward to this month. We are very blessed to live less than 30 minutes away from the vast majority of our family, so we always do double duty on holidays. On Thanksgiving, we spend the late morning and lunch with Aaron's family around a wonderful meal, and then head up to St. Joseph to see my entire Dad's side of the family. 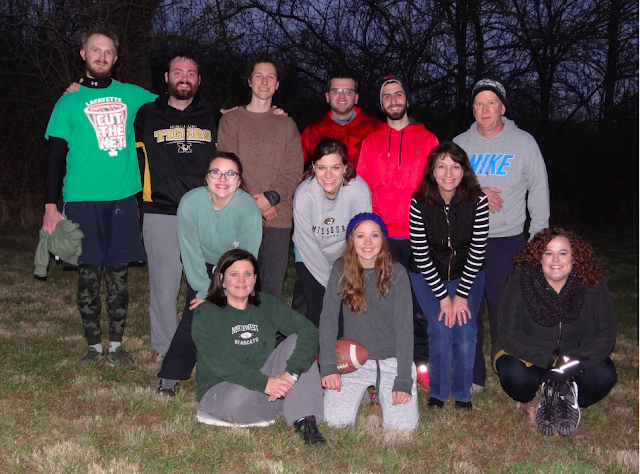 Up in St. Jo, we've got a long tradition of playing family football on my grandparents' land. With Baby K on the way, I couldn't get as involved as I normally do, but I still participated as "all-time hiker". Even though we never venture out to shop on Thanksgiving evening, I do enjoy a good Black Friday sale. Because of the generous offer of several friends to let me use their maternity clothes, I really haven't bought much of anything during this pregnancy. Now that the bump is really bumpin', I decided to look around and see if I could find anything cute on major sale; after all, it's always fun to have a little something of my own that I'll be able to use for multiple babies. I found some super cute outfits at Target for 45% off (heck yes! 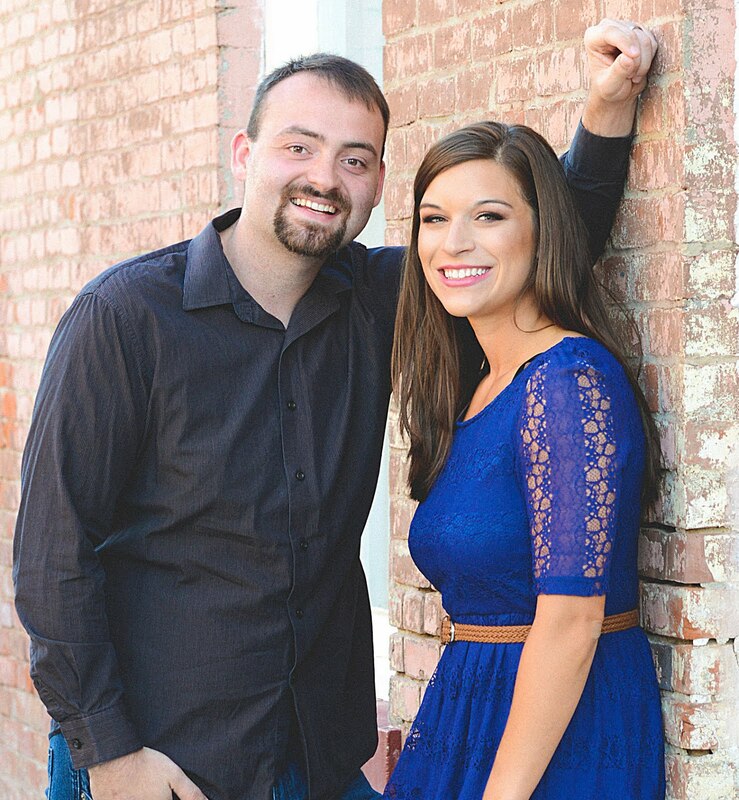 ), as well as some Motherhood Maternity deals, and a few gorgeous wintery dresses from JcPenney online! So fun. Another big November event is my sweet hubby's birthday! 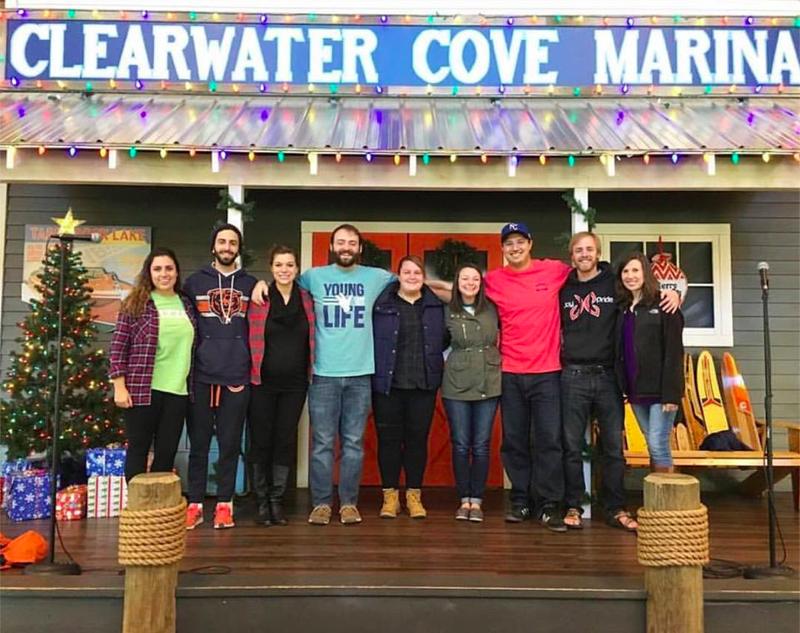 He turned the big 2-6, and we had a great time celebrating his birthday weekend by eating out together, watching the Beauty and the Beast musical, and leading worship together at Clearwater Cove's Fall Trip. In case you missed it, I also wrote him this birthday letter- because a few words just weren't enough. He will be an amazing dad. One thing I'm really excited about this month is all the baby-mooning we will be doing! With the Southwest Companion Pass, I fly free all this year and all of next year, and Aaron flies on points. Between that and our free hotel points, why not travel all over, right? Since I will be pretty grounded for January, February, and March, we're taking advantage of our time off to sneak in a couple more trips before baby comes. This weekend we're heading to a festive Chicago, and then at the end of the month we'll be flying out to Nashville! With Zika and other travel concerns right now, we aren't going anywhere tropical, but we are excited to head to these fun, low-key destinations to enjoy some time for just the two of us. With the revamp of our Farmhouse Front Room this August, decorating for Christmas has looked just a little different this year. Aaron built me a gorgeous pew, so moving things around for the tree and such involved a few extra steps. I love decorating our home for the holidays, and we spent the Wednesday before Thanksgiving getting the lights, tree, and other cozy decor put up. I love the soft glow of the trees and the homey warmth of the holiday cheer. I'm excited to share more of a Christmas house tour soon, and I'm also so excited to think about this time next year with a sweet little one around! I hope you had a fabulous November, and are ready for an even more cheery and fun December with those you love most. Be on the look up for a 2016 recap in the near future. Have a fabulous weekend! I can't believe how fast it's going either!! Aw, yay! It's so exciting that you're already almost in your third trimester! :) Y'all are going to have so much fun traveling! The countdown continues- it's going so fast! You babymoons are going to be so fun! Stay warm in Chicago though! haha I can't believe you are already entering your third trimester! Awww wasn't it just yesterday that you announced your pregnancy??? CRAZY! SO so so happy for you! It seems that way, doesn't it? Thanks!! I would love to see a performance of Beauty and the Beast! Belle is definitely my favorite princess. Also, your pregnancy is flying by! She is my favorite too!! It's flying.